Born in 1985 in Paris, France, Prune Nourry is a multi-disciplinary New York-based artist who draws her inspiration from the issues of human selection. With a degree in wood sculpture from Ecole Boulle in Paris, Nourry explores bioethics through sculpture as well as video, photography, and performance. Her work focuses on how artificial procreation leads us towards an artificial evolution of mankind and its consequences. Nourished by in-depth research in science and sociology, and largely influenced by anthropology, she has created a triptych focusing on gender preference, starting with Holy Daughters in India in 2009. 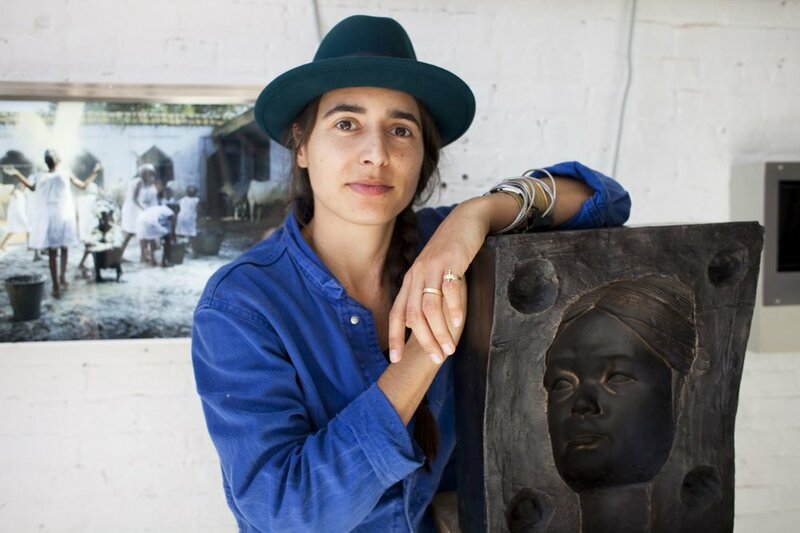 Her latest project, Terracotta Daughters is the last part of the triptych and has done a World Tour starting in Shanghai, heading to Paris, Zurich, New York and Mexico. It is now back in Shanghai and will be buried in China until 2030.